Aaron Gwyn was raised on a cattle ranch in rural Oklahoma. 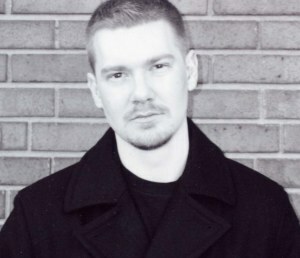 He is the author of a story collection, Dog on the Cross (finalist for the New York Public Library Young Lions Fiction Award), and two novels, The World Beneath (W.W. Norton), and Wynne’s War (Houghton Mifflin Harcourt). His short stories and creative nonfiction have appeared in Esquire, McSweeney’s, Glimmer Train, The Missouri Review, Gettysburg Review, and New Stories from the South. He lives in Charlotte, North Carolina where he is an associate professor of English at the University of North Carolina-Charlotte.